Big, bold brushwork made these petals. Sunflowers are one of my favorite flowers, not because they smell good -- which the don't 😁, but because the way they track the sun throughout the day. Their faces are uplifted catching every ray they can. 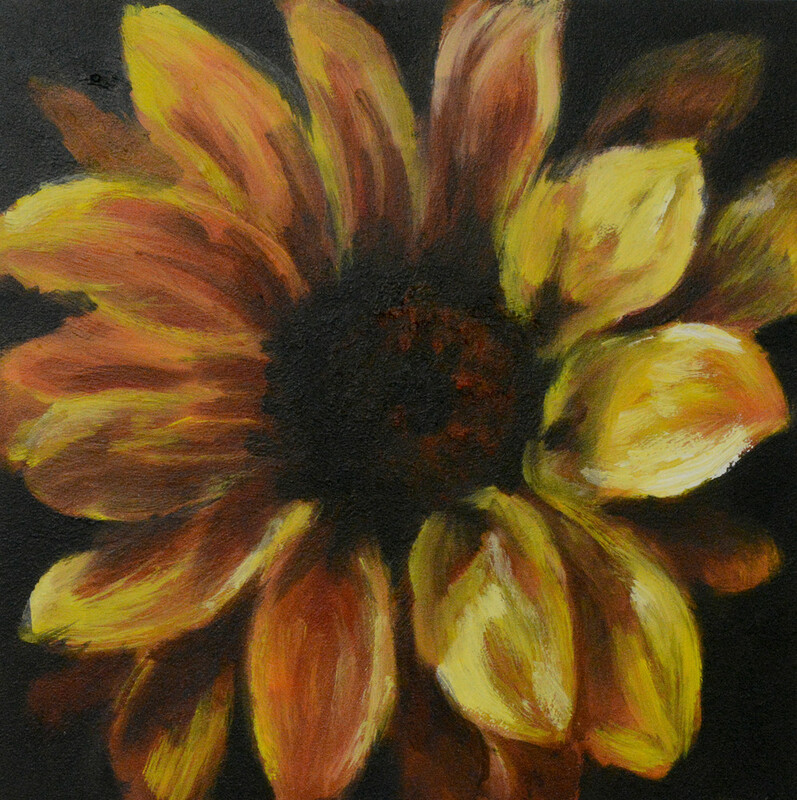 When I painted this single flower I wanted the light to be really dramatic making the yellow pop where the sun hit the flower full on. I also wanted the shapes of the flower petals to be simple and underworked so I used large paint brushes with multiple colors to really sweep in the petals.